For last 5 or 6 years I have been spending a week or two around New Year's climbing outdoors and exploring different places and crags. For the first few years, I have chosen Spain, but recently I am more interested in new, more foreign or 'unknown' locations. My main purpose is to visit the place, meet with locals, share my knowledge, experiences and knowledge about climbing. I also try local routes hoping to promote the place and help the local community to develop its own climbing and culture. I'm doing this to make a switch from competitions, to experience new places, adventure, and all the kinds of happiness that climbing, travelling and being outdoors can offer . I visited this country two years ago for the lead world cup in Amman (2011). I have very nice memories from this trip, not just because of winning the comp in Climbat gym, but also the unforgettable experience of visiting Petra and seeing so many cliffs and the climbing potential in this area. I really liked the atmosphere of this country and how kind, open and generous people are there. 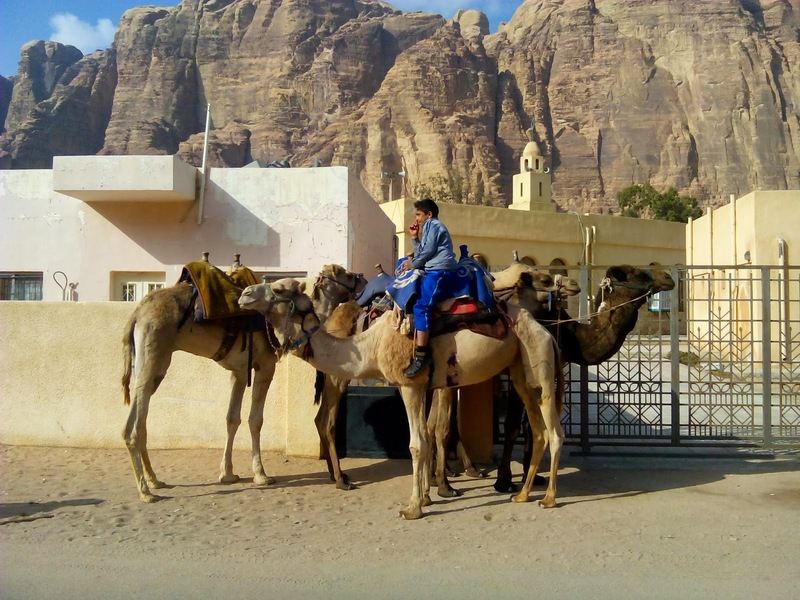 I am happy to say that my first impression was not wrong and I am glad, that I got the opportunity to join Klemen Bečan (plus his wife, photographer and my boyfriend) on a second trip in Jordan. We all have experienced many wonderful things that climbing and spending time outdoors can offer you (and also, how adidas outdoor collection can make it much easier and comfortable :P ). 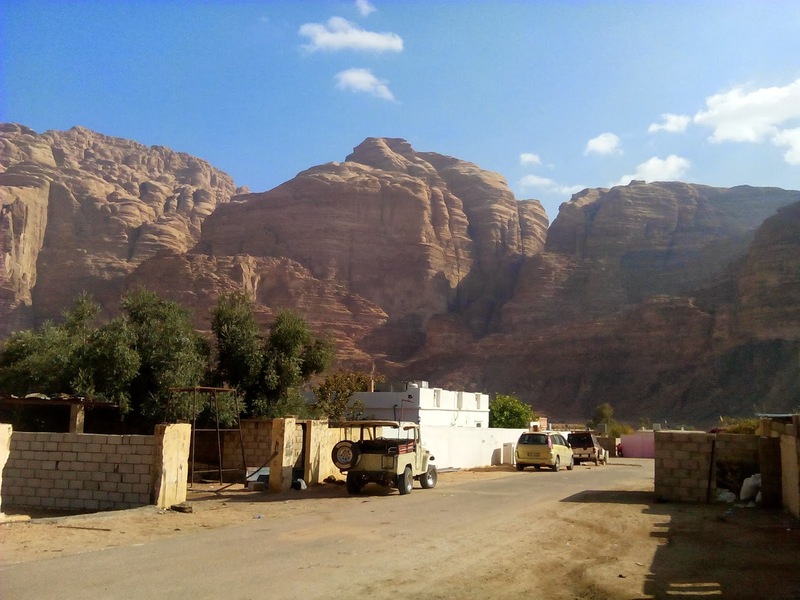 We spent the first week of our trip in the southern desert area 'Wadi Rum'. This climbing place offers an unimaginable amount of climbing with much potential for new routes, from trad to sport multi-pitch routes, sport climbing and bouldering on all kinds of rock (from sandstone to granite). Here we did some all-around exploring bouldering, and exploring the place and its uniqe environment. We (Klemen) also bolted and did (FA) of one sport route on granite and we found and climbed the hardest sport multi-pitch route in the area (Glory 8a+; 6a,6c,8a(+),7c,6c), I also tried 'trad' climbing (-it was the first time for me and I really enjoyed this experience!) and much more .. Sleeping in the desert, driving with 4x4 Jeeps, cooking on an open fire and talking with the very friendly and open local Bedouins is just something more to add.Later we moved further north, to the capital city Amman and the climbing areas around Ajlun (ca. 1 hour driving from Amman). We were kindly accepted and hosted overnight at the local bouldering gym and main meeting point for hiking, canyoning and other outdoor activities in this area, the office of Tropical Desert Trips (thank you Hakim Tamimi :). There are many sport climbing areas around Ajlun, some of them are already bolted and cleaned, and many more are still waiting for that. We wanted to do some sport climbing, bolt new routes, explore the area and connect with Amman's sport climbing community to share the experience, knowledge and our views about climbing. We spend many days outdoor, sleeping in the cave, bolting, cleaning and climbing during the day . (OK, I have to admit, that I did not bolt my own new route, but Klemen, Anja and Luka did so). We worked on bolting and climbing from sun-up to sunset. When we were done it was time to build a fire to prepare tea and our dinner, as we have learned from the locals ... I really want to give a big thanks to the local people for helping us during this stay with bringing water, fresh fruit, bread, batteries other supplies during our stay in Ajlun.